It’s late on Sunday night and if you are looking at the tomorrow’s diary and thinking what the *heck* am I going to feed myself/kids this week – calm down, sit down and read this. This is a new series I’ll be writing for my blog so you can see my ideas behind meal planning and what I’m going to be feeding my own family too. In order to bring a little bit of sanity into my home during a very busy week, I try and create meal plans every Sunday night. It takes just 15 minutes to make and helps me visualize what we’re going to be eating every day. I also include some ideas for lunch and breakfast too but for the sake of this particular blog post, let’s just focus on dinner. Meal planning saves you time, money and stress. Look at your fridge and pantry and see what you already have. Perhaps you have a lot of rice, oatmeal, pasta, meat or veggies already there. You don’t need to go out and buy a whole stash of new ingredients. Make dishes based around what you already have. Then, get out some paper or your smartphone and make notes of what you like to eat. Perhaps you want to try a new recipe. Look at your favorite recipe books or do a search online. Then write down four ideas. Just four. That’s all the food you need to make this week. Like I said, it isn’t rocket science. What you’ll be doing is making enough food (perhaps doubling some recipes) to have leftovers for other nights. Pay attention to what you are going to make: are they balanced meals with the right mix of protein, vitamins and minerals? Are you able to simplify them to as few ingredients as possible? Are you able to make these meals in around 30 minutes each night? Since you don’t want every night to be the same old thing, you need to mix and match meals. I try and cook different meals at the weekends because that’s when I have more time. I also do a lot of prep work on a Sunday, but I’ll save that for another blog! I like to use the basic meal plan and then will often add in some extra food like a baked sweet potato, grain or salad. My kids mostly eat the same food as we do although they are little pickier. My son doesn’t really like food to be mixed together but he’ll happily eat a plate of roast chicken, sweet potato mash and broccoli if they are all separate on the plate. I don’t want to make separate meals for my kids every night and cause more stress in the kitchen so I’ll do simple versions of the meals. For example, I know they wouldn’t eat the vegetarian chili but they would eat brown rice, beans and some tomato sauce with extra red pepper sticks on the side. Simple, right? And now I can create a shopping list from my meals, add some items for breakfast and lunch and I’ve saved an enormous amount of time, money and stress during the week. It also means that I just need to go shopping once for the weekly groceries rather than running to the shop every day in a panic! What are you going to make for dinner this week? * The title of this blog post is supposed to be catchy but I know that many papas out there do all the cooking too! 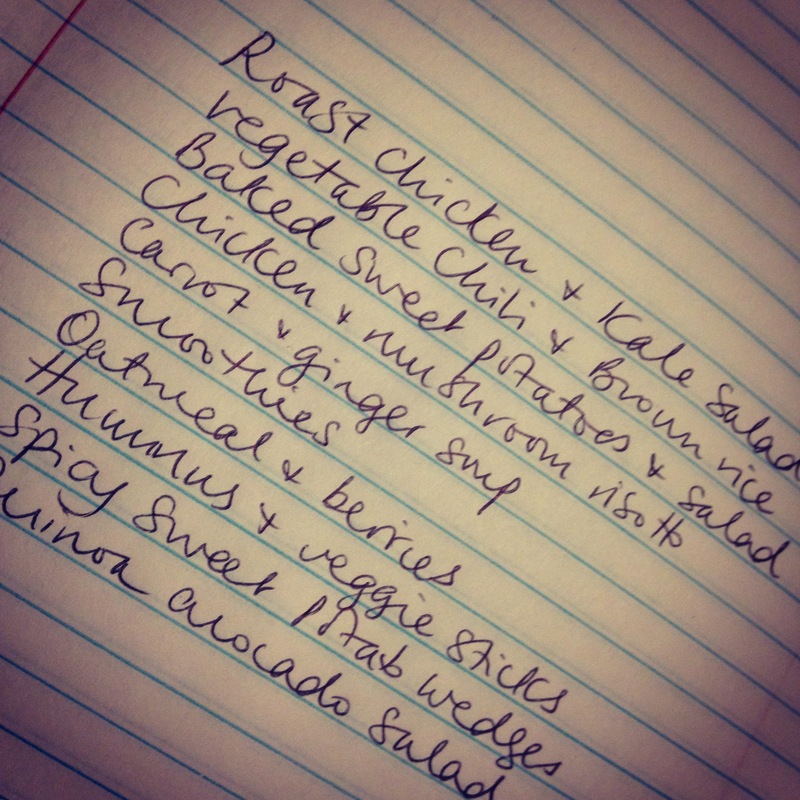 This blog post is for everyone who prepares family meals throughout the week.